Clinicana Center performs all surgical interventions that has cosmetic target in the oral and facial area in general. These operations are intended to treat any congenital malformations and defects.The aim of these cosmetic operations is to improve the function of teeth and the accuracy of the jaws, as well as to give an aesthetic look for the face, and the most important goal is to balance between the results where the aesthetic non-artificial and the natural look. By using these cosmetic operations, we can correct the aesthetic imbalances in the face area, which mostly include a clear facial and dental deformity. Clinicana Center performs these surgical interventions to restore the basic aesthetic balance of the face in natural ways as well as the moderate cost of this type of surgery compared to Europe and America. Veneer teeth, dental contact lenses, or beautifying cortex of teeth is different terms that represent one thing, which became increasingly familiar. It is the fastest way to beautify teeth. The Veneer can be defined as a low-density porcelain leaves, ranging from 0.2 to 0.7 cm. 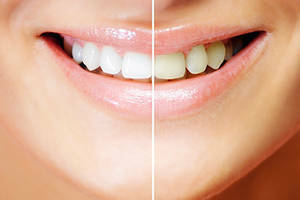 With whitish color like the teeth's, and is often placed on the outside of the upper front teeth, and the Veneer is used routinely to change the color or the size of the teeth or hide their defects (such as fractures, Interfaces and deviations) to give a wonderful look when smiling in a record time. The teeth are assessed by examining the base line and after that it comes the step of choosing the restoration and treatment options that are choosed to suit the facial shape, skin color and patient characteristics. 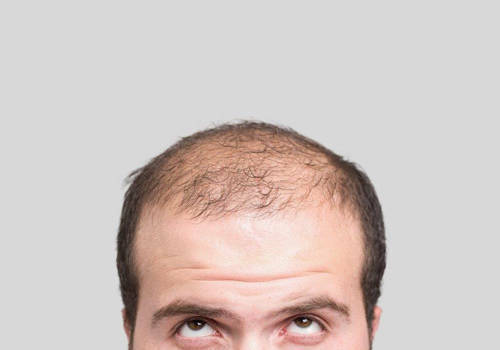 The results are designed after the measurements and before starting the treatment. The information of this study is used to clarify the design of the patient's three-dimensional smile, which will be completed at the end of the treatment before starting any treatment step. 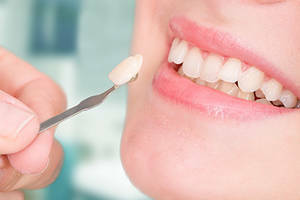 Our porcelain technician takes into consideration many measures, including color and shape, to make the dental repairs look natural and fit perfectly with the original teeth. So we can provide our patients with many dental services, such as cosmetics and amazing results without wasting time. Discolored teeth: because of neglecting of dental care, smoking, excessive drinking of tea and coffee, stains from tetracycline, treatment of uncontrolled nerve, the excessive use of fluoride, or teeth fillings that change the teeth's color. At the beginning, taking Initial measurements and sent them to the laboratory to design a temporary cortex. Preparing to remove a part from the front surface of the teeth and it is about 0,5 mm which is the same amount of the Veneer that going to be fixed there, in case the teeth are overlaid or advanced from each other, they will be cooled and organized with the rest of the teeth until become consistent afterwards. Take the measurements of the teeth with some pictures and send them to the laboratory. After a week or ten days, the Veneer will be ready to be installed in the person's mouth in a quick and easy way. Between the preparation and the installation of the Veneer, having a temporary cortex of plastic (design by the computer) to protect the teeth from the changes of the mouth in cold and heat. Teeth cortex does not require a special care. Keep your mouth and teeth clean by using the brush and thread regularly, and avoid biting nails, pens, ice, or hard objects that cause cracks in teeth.